Don’t be deceived by the wine’s typical cloudy appearance: simply try it to be pleasantly surprised by an unexpected, medium dry flavour with a slight sparkle, a perfect accompaniment to every course of a meal as well as a delicious aperitif. Organoleptic properties: a light persistent effervescence characterises this wine. An intense straw-yellow, with faint green highlights, it has a complex bouquet, with fruity notes accompanying floral tones. The flavour is fresh and lively, pleasantly citrus. 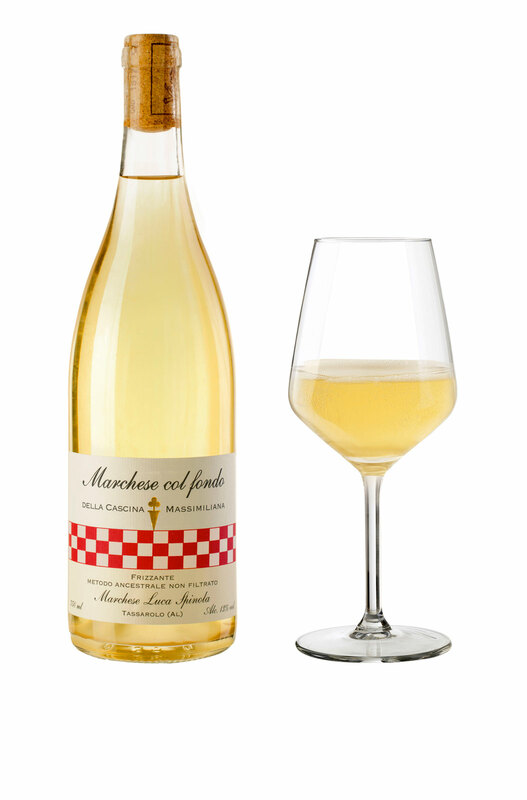 Technical notes: under the Ancestral method, the grapes are lightly pressed to extract the native yeasts in the fruit, and then fermented in stainless steel at a controlled, usually low, temperature. The fermentation is slowed and then stopped, to retain a sugar content sufficient to ensure that fermentation resumes in the bottle, without further additions of sugar and yeast. The enzymes and yeasts in the bottle inhibit the carbon dioxide, thereby creating a lightly sparkling wine, known in French as a “pétillant”.